Reliable and high performance Fabry-Perot fiber optic acquisition modules for laboratory, civil engineering & Industrial applications. 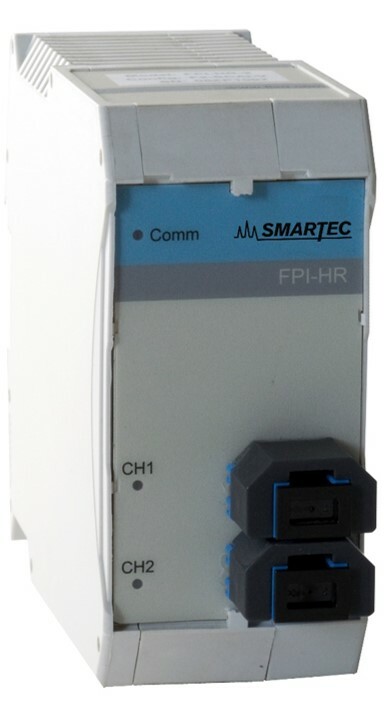 SMARTEC Fabry-Perot fiber-optic gauges are designed around a Fabry-Perot interferometer (FPI). An FPI consists of two mirrors facing each other, the space separating the mirrors being called the cavity length. Light reflected in the FPI is wavelength-modulated in exact accordance with the cavity length. FPI gauges convert strain, temperature, pressure and displacement into cavity length variations. FISO’s patented white-light cross-correlator offers a unique and powerful way to make absolute Fabry-Perot cavity length measurements with astonishing accuracy and linearity, providing consistency time after time. Evolution chassis footprint, communication capabilities and speed make it the ideal tool for laboratory and in site test environments. 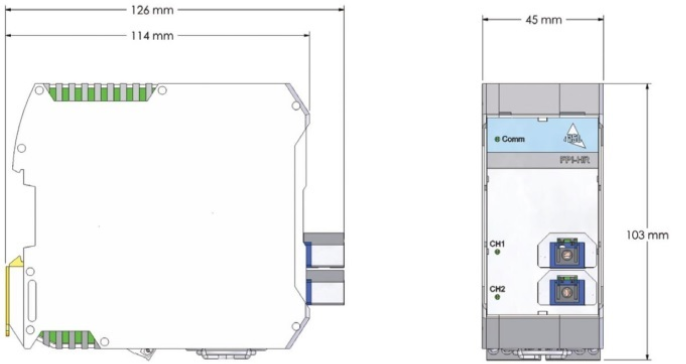 The evolution chassis can house different module types with different channel capabilities to combine results from a single acquisition source. 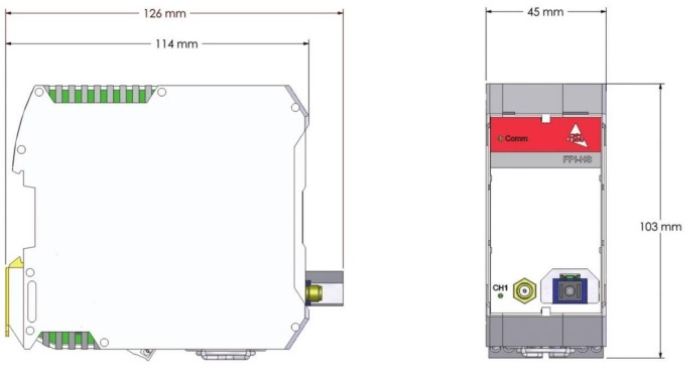 Module capacities, communication ports, and overall width specifications differ from one model to the other. USB communication interface is available on all chassis. 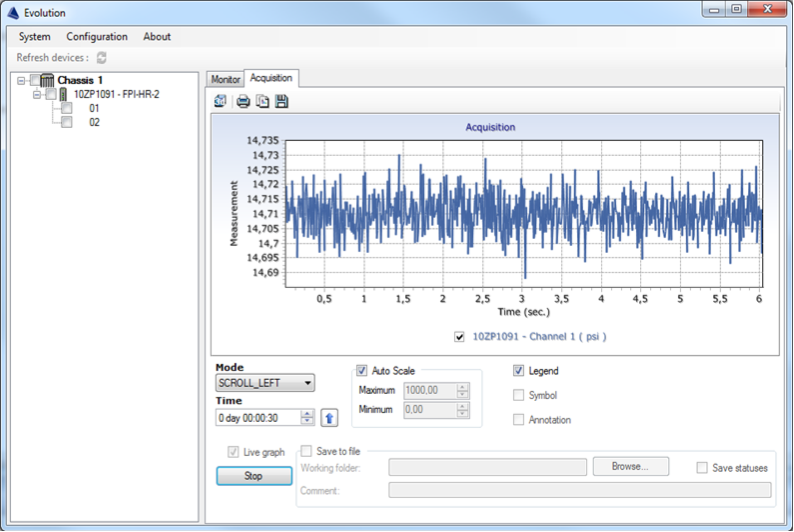 Evolution software enables manual configuration and data acquisition up to 5 k samples/sec. 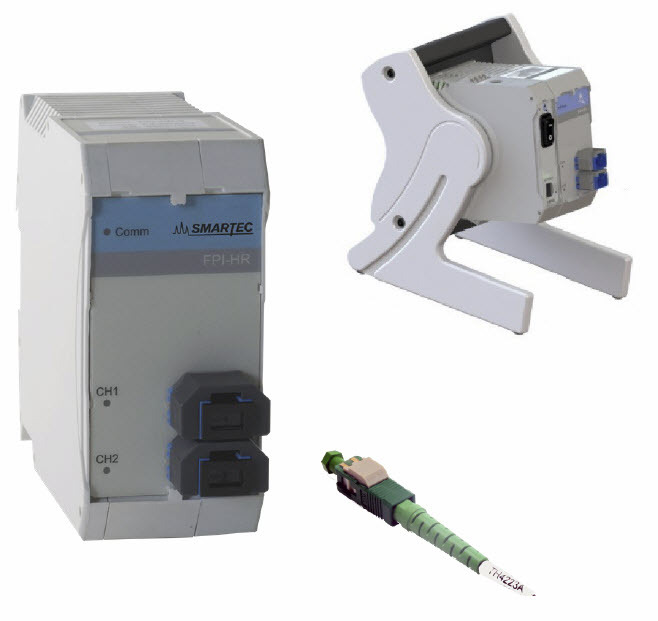 External data acquisition system is required for higher acquisition rate > 5k samples/sec (full bandwidth via analog output connectors). a Accuracy includes reproductibility (sensor/module exchange), repeatability and hysteresis, non-linearity, scale error, offset error, conditioner temperature compensation error. Pressure: Accuracy at room temperature.